Disclaimer: This is a rant. It is one man’s cri de cœur. It is not a review. 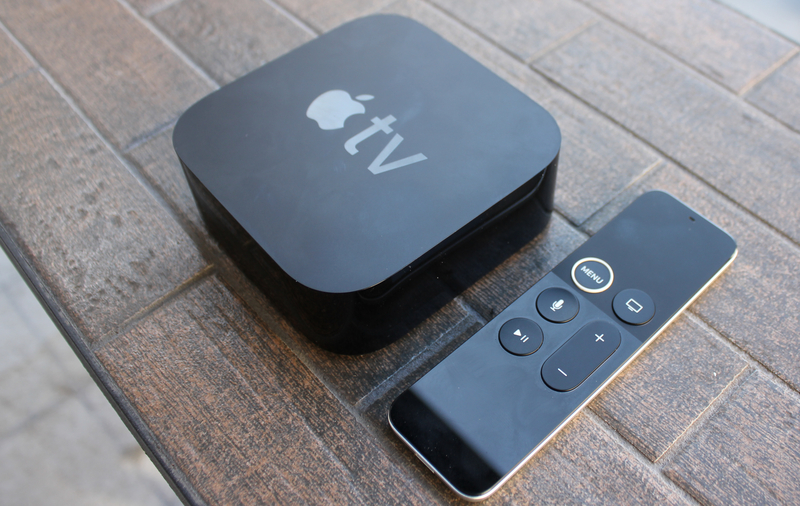 If you want to read the Ars Technica review of the Apple TV, it’s right here. Thankfully, though, this interaction travesty provides some good insight into what makes or breaks the user experience. The AppleTV remote doubles as a game controller. I didn’t think I’d game much with the Apple TV (though my kid does between Minecraft sessions), but this functionality seemed cool and futuristic, at least. This leads me to point no. 1: tech hardware products shouldn’t try to be all things to all people (though of course, the iPhone manages to do pretty much everything). TV remotes shouldn’t generally be game controllers—and vice versa. Nobody would quibble with the claim that the Apple TV remote looks totally cool. But it seems like real-world usage of the thing was merely an afterthought. For whatever reason, Apple has a history of making remotes that are too small and too thin. Everything Apple makes is flat and tiny, and the Apple TV remote is no exception. But the lesson here is: just because you can make something tiny doesn’t necessarily mean you should. Full disclosure—I’m a short man with Trump-sized hands. And let me tell you, size does matter when it comes to TV remotes. A TV remote only does one thing: be held, stationary, in one hand. A human hand, not a raccoon hand. When you hold a remote control in your hand, you want to know you’re holding a remote control in your hand. So, it should be shaped like something that would fit in a hand! Now, come on. You Apple guys know what shape that is. You make computer mice, for crying out loud. A remote control should have depth and roundness. Or how about this: just make it the same shape as the iPhone. Nobody’s complaining about the shape of the iPhones. But it’s not just that the Apple TV remote is too small and too thin. It’s also too slippery! Here’s a tip: you know you screwed up when people start manufacturing products to put your handheld product into so that people can actually hold the product. And when they describe these products as “anti-slip,” guess what that says about your product: it slips! 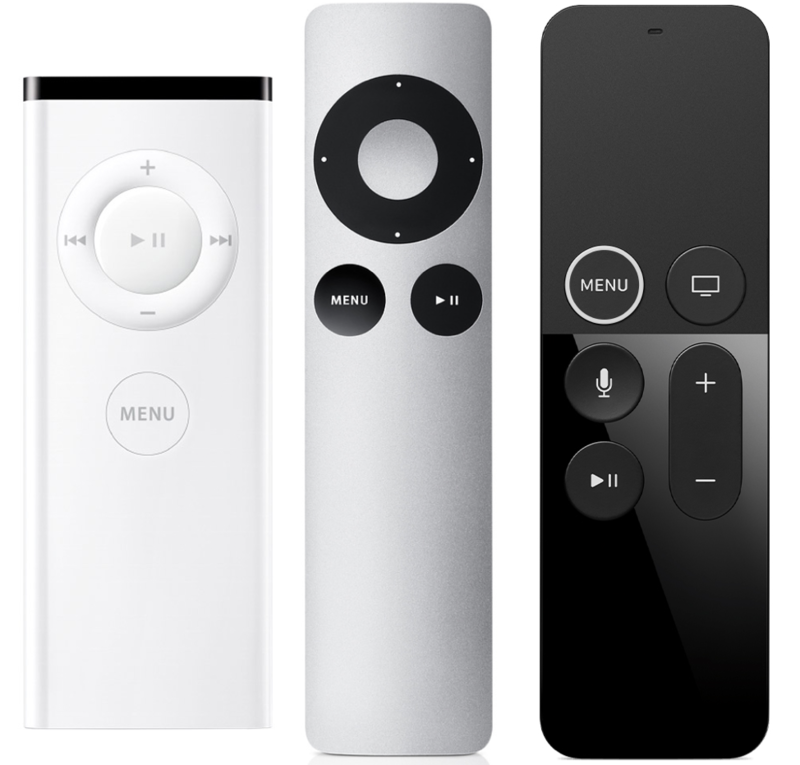 Enlarge / The evolution of the Apple TV remote. The remote is also too symmetrical. When it comes to hardware design, symmetry is not always your friend. In this case, the quality of Apple’s remote design actually seems to have regressed from “non-symmetrical and okay” to… “symmetrical and unusable.” The buttons are located exactly in the middle of the remote, and one end of the remote is practically indistinguishable from the other. This is so true that even the tiny Lightning jack on one end looks identical to the IR output jack on the other end. Whose idea was that?! I spent five minutes one night just trying to plug a Lightning cable into the IR output jack. Granted, I may have been a little buzzed—but that’s likely to be a common use case! Because of the absolute symmetry, I often wind up holding the remote the wrong way, despite the fact (or maybe because of the fact!) that it’s weighted a bit more heavily on one end. Presumably, the extra weight was meant to properly situate the remote in the user’s hand, but it never seems to work that way for me. I inevitably try to use the bottom half as a trackpad, then get frustrated at the fact that it’s not working before realizing I’m (once again) holding the remote backwards. I don’t talk to the Apple TV remote nearly as often as I thought I would because it’s just not how I’m used to interacting with a TV. A big priority in hardware product design—and even in app design—is asking, “Where is this product primarily going to be used?” In the case of app design, if the app is going to be used exclusively outside (say, by delivery people), designers need to adjust the contrast ratio of the colors to ensure the interface is visible in bright sun. Or, let’s say those delivery people wear big driving gloves. Better make those buttons huge! And guess where I always am, and where most people generally are, when they’re using the Apple TV remote—in the dark! When you can barely see the remote, and when the remote doesn’t have any lights to indicate which end is up, and when the designers made it such that one end is practically indistinguishable from the other… you’ve got yourself a recipe for user frustration. Here’s another reason the Apple TV remote wasn’t designed for the environment it’s being used in: it’s too thin! Because most people sit on the couch while watching TV—and this tiny remote gets lost between the cushions of said couch. Every. Single. Time. I’ve spent countless hours searching for the Apple TV remote—and undeservedly yelling at my children for behaving irresponsibly—when in reality it has once again slipped deep into the bowels of our sofa because—as mentioned previously—it’s also super slippery! These issues all lead me to one conclusion: the design priority here was to make something that would encourage sales by looking great on a screen but which isn’t that great at manipulating content on said screen. Which is unfortunate, since that’s the one thing a remote is meant to do. Everything changed for Steve Brykman when he left med school to become Managing Editor of National Lampoon. More recently, he co-founded Apperian and is currently a Digital Strategist with Propelics—though he still performs standup comedy whenever he gets the chance.